The Doctor’s Monsters, released in Autumn 2012 from I. B. Tauris, is a book I’ve written about the long-running BBC TV programme Doctor Who. 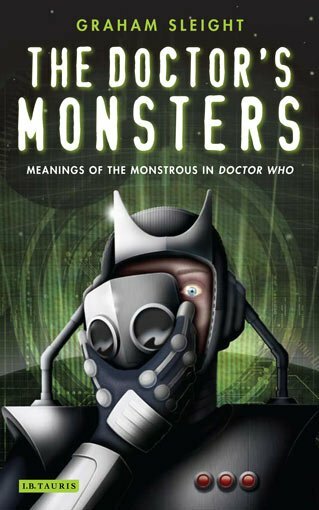 The central idea behind the book is that monsters (in Doctor Who and elsewhere) often stand for something – some aspect of human nature that gets reflected in their design or behaviour. It contains chapters on the Daleks, Cybermen, Sontarans, Weeping Angels, Autons, Mara, Slitheen, and many others. I’m hoping that it’ll appeal to Who fans of all kinds, as well as to the growing academic community that studies the show. Paul Cornell, author of Who episodes (and much else) has contributed a very generous Foreword saying among other things “I think [Sleight’s] analysis makes old stories exciting again, finding new interest even in such oddities as The Borad. The Doctor’s Monsters makes a splendid contribution to academia, pop culture and fan pub debate. I heartily recommend it.” The reviews so far have also been very favourable. Joel Harley of Starburst Magazine gave it 8/10 and said it “is well written, well researched and very readable” (Full review here). And Dr Who Online gave it 9/10 (full review here).